I like Ross Pavio. I don’t know him personally, but dude has a great mustache. And he likes plants. I like plants. I have some basil, tomatoes and some random bean-looking plant in planters on my back porch. Ross has some hibiscus, bromeliad, Mexican sunflowers and other plants turning yellow and brown in his yard. But Ross isn’t a bad gardener. He’s just not very neighborly. 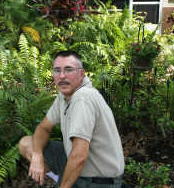 Ross complained to the St. Petersburg Times last week because he feels some hoodlums are targeting his plants and home. Why would they mess with a guy sporting a mustache like Ross? Pavio, 56, said that’s the message he has been trying to get across in his North Kenwood neighborhood since moving in four years ago, but his efforts backfired. In the past few months, Pavio said, a fire has been set in his back yard, a video camera above his garage tampered with, and his beloved plants and lawn ruined with chemicals. Last week, he called St. Petersburg police to his home on two consecutive days to investigate the vandalism. Uh, yeah … Ross, let’s learn some Neighbor 101 up in here. 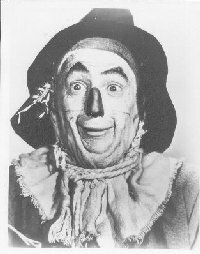 Mr. Rogers never put up a scarecrow insulting the hookers and crackheads in the neighborhood. Not even in the Neighborhood of Make-Believe. Good reason, too: Hookers and crackheads don’t like being heckled. Be clear: I’m not necessarily blaming Ross for some fucked up individuals trespassing into his yard. And really, his plants never insulted anybody. But Ross, you totally didn’t have to goad your neighborhood drug dealers. A nice call to the cops would have been sufficient. Pavio, who said he doesn’t blame the police for his troubles, isn’t interested in joining any groups. After spending about $55,000 to renovate his two-bedroom, two-bath house and cultivate its barren yard, he has had enough. “I came here with this wonderful idea that I was going to be coming into this up-and-coming neighborhood,” he said.